Newborn stars, hidden behind thick dust, are revealed in this image of a section of the Christmas Tree Cluster from NASA's Spitzer Space Telescope. Alexander I. Poltorak is the Founder, Chairman and the CEO of General Patent Corporation (GPC), an intellectual property (IP) firm focusing on intellectual property strategy and valuation, IP licensing and enforcement. He also serves as the Managing Director of IP Holdings LLC (IPH), an IP-centric merchant banking boutique providing IP-focused financial, brokerage and advisory services, and operating an idea incubator. 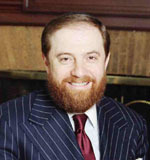 Prior to establishing GPC in 1987, Alex Poltorak was President and CEO of Rapitech Systems, Inc., a computer technology company that he had founded in 1983 and took public in 1986. Before that, he served as Assistant Professor of Biomathematics at the Neurology Department of Cornell University Medical College. He also served as Assistant Professor of Physics at Touro College. Poltorak has published numerous papers in scientific journals. Alexander Poltorak taught business law as Adjunct Professor at the Globe Institute of Technology and is a regular guest-lecturer on intellectual property law and economics at the Columbia University School of Business. Alexander Poltorak is the Founder and President of a non-profit association, American Innovators for Patent Reform. Poltorak is a Certified Licensing Professional. He was among the first licensing professionals to be awarded this certification by the Licensing Executives Society (LES) of US and Canada. In 2010 he was recognized in the IAM Strategy 250, a publication of Intellectual Asset Management magazine listing the the world's 250 leading IP strategists; in 2012, he was again recognized by the magazine as part of the IAM Strategy 300. Poltorak emigrated from the former U.S.S.R. in 1982, where he was awarded a graduate degree in Theoretical Physics equivalent to a Ph.D. in 1980. As a political dissident, he was stripped of his degrees for anticommunist activities. •	Essentials of Licensing Intellectual Property (John Wiley & Sons Publishers, Inc., 2003). •	Making Innovation Pay: People Who Turn IP Into Shareholder Value. Ed. B. Berman (John Wiley & Sons Publishers, Inc., 2006). •	“Patent Enforcement: To Sue or Not to Sue?” (Inventors’ Digest, November/December 2000 and January/February 2001). •	“Life after Rembrandts – New Development in IP Strategy” seminar in August 2005 in Chicago. Alexander Poltorak was profiled in a New York Times feature article (Teresa Riordan, “Trying to Cash in on Patents,” June 10, 2002) and by IP Investor Magazine (“He Wrote the Book,” Apr. 2007). Alex has been often interviewed on CNN, CBS, Tokyo TV, CFO Magazine, InstitutionalInvestor.com, WallStreetReporter.com, Industry Week, EE Times and Bloomberg Radio. He serves on the advisory editorial board of Patent Strategy & Management. Tokyo TV Ch. 12 featured a documentary about Poltorak and his company in May of 2002. Poltorak is a member of the Licensing Executives Society (LES), the Association of University Technology Managers (AUTM), Intellectual Property Owners Association (IPO), the New York Academy of Science, the American Physical Society, International Society for General Relativity and Gravitation, and the American Association for the Advancement of Science. He was a U.S. co-chairman for the Subcommittee on Information Exchange of the US-USSR Trade and Economic Council. Alexander Poltorak was awarded seven U.S. patents.